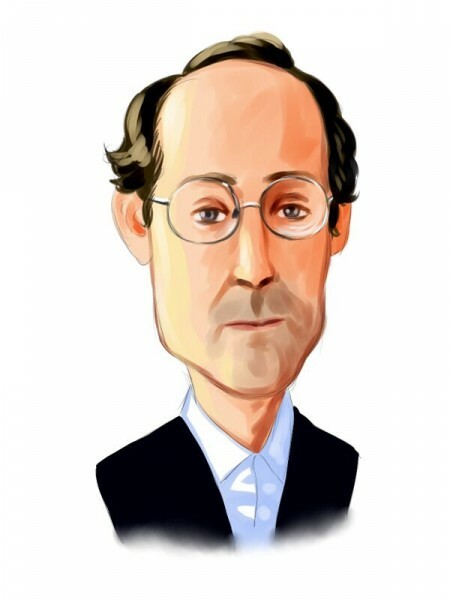 Fir Tree is a New York City-based, privately-owned investment hedge fund founded by Jeffrey Tannenbaum in 1994. Recently the fund disclosed its equity portfolio holdings as of June 30 in a 13F Form filed with the U.S. Securities and Exchange Commission. According to the filing, Fir Tree was most heavily invested in the technology and healthcare sectors as of the reporting date, with 30% of its holdings being technology stocks and 19% being healthcare stocks. As of June 30, Fir Tree’s public equity portfolio carried about $6.28 billion in holdings, down from the $7.01 billion reported at the end of the first quarter of this year. That continued a downtrend begun in the first quarter of the year, as Fir Tree’s portfolio contained over $9.59 billion in equities entering the year. The funds top tech picks heading into the third quarter were CDK Global Inc (NASDAQ:CDK), Sunedison Inc (NYSE:SUNE), and Cadence Design Systems Inc (NASDAQ:CDNS). We will talk about these holdings in this piece. Most investors don’t understand hedge funds and indicators that are based on hedge funds’ activity. They ignore hedge funds because of their recent poor performance in the bull market. Our research indicates that hedge funds partly underperformed because they aren’t 100% long. Hedge funds’ fees are also very large compared to the returns generated, which reduces the net returns delivered to investors. We uncovered through extensive research that historically, hedge funds’ long positions in certain stocks actually outperformed the market greatly, and it has held true to this day. For instance, the 15 most popular small-cap stocks among funds has beaten the S&P 500 Index by more than 60 percentage points since the end of August 2012. These stocks returned a cumulative of 118% vs. less than 58% for the S&P 500 Index (read the details). That’s why we believe investors should pay attention to what hedge funds are buying, particularly in the small-cap sector, rather than what their net returns are, which the media primarily focuses on. Fir Tree continued to slash its holding in CDK Global Inc (NASDAQ:CDK), by 10% to 11.47 million shares worth $619.20 million at the end of the second quarter. CDK Global Inc (NASDAQ:CDK) remained in the top spot of the fund’s equity portfolio nonetheless, representing 9.86% of its total holdings. Nor was Fir Tree done there, as the fund has continued to dispose of its holding in the third quarter. CDK Global provides a wide range of resources to the automotive industry, including various management and marketing solutions. The $8.16 billion market cap company is reportedly considering selling itself to a private equity firm, to whom it may prove attractive thanks to its strong recurring cash flows and potential to reduce expenditures further following its spinoff from Automatic Data Processing (NASDAQ:ADP) late last year. CDK Global, Inc. (NASDAQ:CDK) reported earnings of $0.28 per share for its fourth quarter of fiscal 2015 ending June 30, missing Wall Street’s estimates by $0.01. The company earned $503.10 million during the quarter, compared to analysts’ expectations of $519.53 million.Over the previous three months, shares of CDK have gained 6.7%, with the year-to-date gains standing at 21.01%. Scott Ferguson‘s Sachem Head Capital is the largest shareholder of the company in our database. The fund held 12.65 million shares worth $682.70 million, accounting for over 45% exposure to the stock in its public equity portfolio as of June 30.